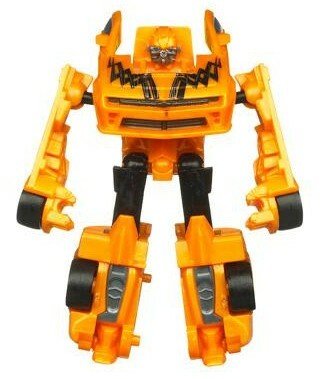 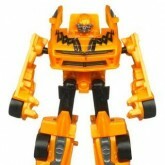 BUMBLEBEE charges into battle, engine roaring, and ready to turn DECEPTICONS into scrap. 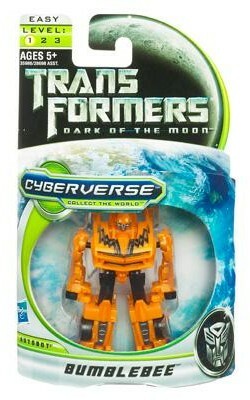 His dogged bravery is idolized by the AUTOBOTS and feared by his enemies! 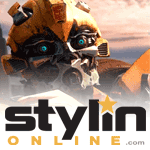 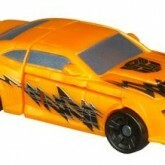 Packaging displays the name "Bumblebee" (initial release) or "Bolt Bumblebee" (running change). 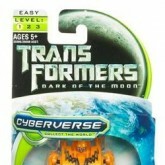 The version sold in the US may have only been available on "Bumblebee" backer cards. 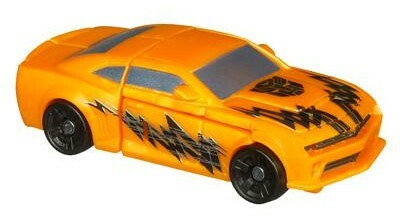 Europe got both "Bumblebee" (initial shipments) and "Bolt Bumblebee" (running change) variants.